Dark, gritty, and utterly entrancing. Are you ready for the future? 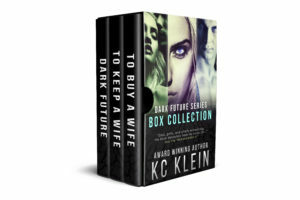 Get books 1-3 of this exciting, edge-of-your-seat series. Winner of the 2014 RONE Award! On a harsh future Earth where corruption rules and women are few, cold realist Hudson Land must purchase a wife to comply with the Elders’ laws and save his farm. Instead of an auction, he witnesses the start of an execution, and he knows he has to have her–no matter the cost. Lake has gotten the life she never dared dreamed of—a safe haven, and the love of a good man, her husband, Hudson Land. But Lake’s hard-won happiness doesn’t last long when powerful Elders lay siege on Black Creek Manor in retaliation for her past defiance. 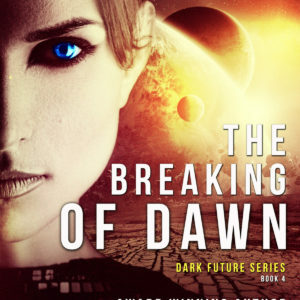 Awakened in the middle of the night by a future version of herself, Kris Davenport is given a mission: to travel in time to save the world–and his life. Of course, her future self doesn’t tell her who he is, just sends her into the darkness and straight into an alien invasion.